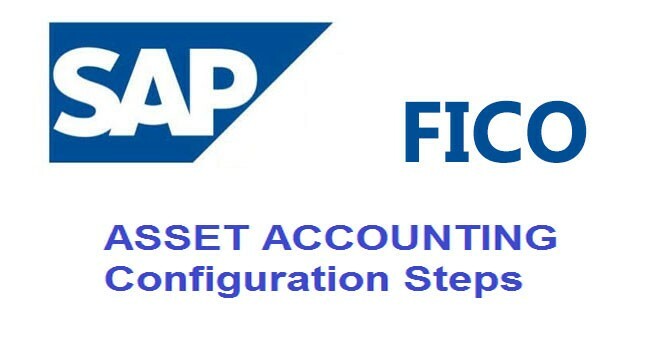 How to Configure ASSET ACCOUNTING in SAP FICO? Set the transfer date to 12/31/current year - 1 for your company code (e.g., If the current year is 2003, you will use 12/31/2002 as the base transfer date). The procedure is the same as in Create asset. In addition, you also have the feature Takeover values where you enter the Acquisition and Production costs and the accumulated depreciation values for the different depreciation areas. Enter a description of the old asset. c) Several Hundred Assets, through Transfer with Micrsoft Excel. Have the exchange rate defined in the system. The applicable date should be the date on which oldest asset was capitalized and the rate should be same as 31-Dec-2002. This will be applicable only if you have different group currency else forget this step. Reset Reconciliation account in production transfer settings. This is the problem that you are facing. Go to the SPRO transaction, Asset Accounting --> Production Transfer --> Reset Reconciliation account. Here check all the accounts that will be affected (It will be take over value and the accum depreciation) and save. Upload the asset master using the BDC using as91 transaction. Upload BDC for the account codes of the opening balances. Since the asset accounts are not more recon accounts all the asset related account data will also go through.